Crimes involving money, fraud and taxes are extremely complex and aggressively pursued by the federal government. When it’s you against the federal government, you have a lot at stake. You need representation from an attorney who not only has intimate knowledge of the law but has the resources necessary to stand up against a formidable opponent with seemingly endless resources. At the Law Offices of Seth Kretzer, our entire law practice is focused on representing clients facing serious federal criminal charges. We have extensive experience and a proven track record, and often receive many of our clients through referrals. 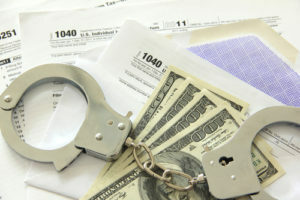 Led by Houston federal criminal defense attorney Seth Kretzer, we take a creative approach to handling tax fraud, tax evasion, and related crimes. We strategically gather evidence to turn the tables in your favor and seek to reach the best possible outcome. Preserving our clients’ reputations is of the utmost importance. Not only will we work to protect your future, but we will handle matters as discreetly and professionally as possible. Have you been accused of a federal tax crime? If so, please contact us at 713-775-3050“>713-775-3050 for a confidential consultation with an experienced federal tax fraud attorney.